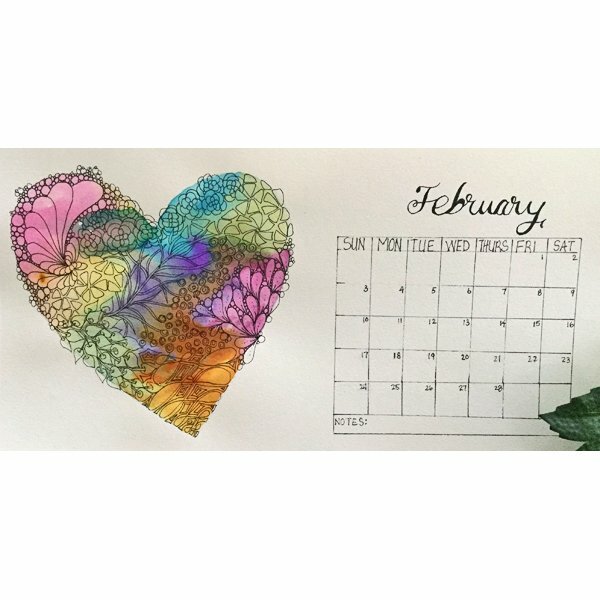 Learn a little bit about water coloring, Zentangle Patterns, Faux Calligraphy and how to draw out a calendar. When you are done, you will have your very own calendar page made and decorated by you. Want to make several pages, but too much work? MAKE COPIES!